Maybe your mom will like this as much as mine did. 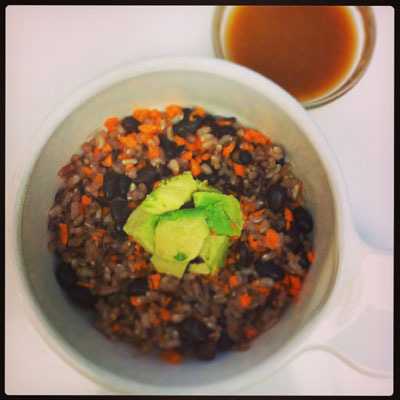 In the bowl add cooked plain brown rice, black beans, some veggies, avocado, and cilantro to garnish. 1/8 teaspoon cayenne pepper. Blend all and pour a little as dressing on the bowl to taste.